"You are heartiest respectd from the heart of District Police"
Legend has it that around 1574.AD Man Singh had come to conquer Bengal on behalf of Mughal Emperor Akbar the Great from Rajasthan(Erstwhile Rajputana Kingdom). He appointed two of his loyal officers in the army,Sarveshwar Singh and his elder brother to defeat the local tribal rulers of the region known as Jungalkhand, the area was populated by Tribals known as Santhals, Mallas ,Bhumij and Lodhas.The area belonged to Malla Raja. Raja Sarveshwar Singh together with the Rajput Military force and Cavalry invaded the deep forest region known as Junglekhanda, and defeated the tribal rulers the Mallas and adopted the surname Malla Deb and set up his kingdom with it's capital naming it Jhargram. In order to commerate this victory every year an idol of Malla Raja is made and killed on Vijaya Dasami (Dessehra) day. After residing in the area for four months, Man Singh decided to return to Rajasthan(Rajutana) and left his loyal officers Sarveshwar Singh and his elder brother behind . 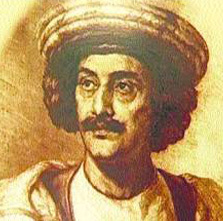 As per the custom of the Royalty the elder brother would ascend the throne and become the Raja of the State and the younger brother would be the Prime Minister or Advisor to the Raja and therefore would be entitled to an allowance from the State.As youger brother Raja Sarveshwar Malla Deb desired not to go back. He was made the Raja of the Junglekhand Area subedar to the Mughal emperor Akbar and the elder brother was made the Raja of Bhishnupur or commonly known as Mallabhum.that later became independent. This is how Man Singh established the Malla Raj or the Rajput Rule in Bengal that was divided in two parts,with the ain Capital at Bishnupur and under the your brother Sarveshwar Malla Deb with Jhargram as the capital..
Raja Sarveshwar Malla Deb was the founder of the present Jhargram Royal Family-(Raj Family),he belonged to the Kshtriya Chandra Vansha Chauhan clan of Rajputs. The name of the State Capital came to be known as Jhargram,it was surrounded by walls and canals known as Ugal in local language. The Man who was the hero or bull within the surrounded wall and canal was called Ugal Sanda.. As such the full name of the Raja of the State was known as Sarveshwar Malla Ugal Sanda Deb and the title has been continued upto Raja Narasingha Malla Ugal Sanda Deb. Many portions of the state was donated by the Raj family to their family's (Sabha Pandits) Scholars, Brahmin's poor who were later on become the properties of the area and recognized as Zamindars of the area. Before the abolition of Zamindars in indepenedent India in the year 1954, the area of the estate was 252 sq. miles. History has witnessed many ups and downs of Jhargram Raj family. Maharaja of Mayurbhanj, ruler of the adjoining state and the Nawbab of Murshidabad taking advantage of the family's idleness and luxurious life invaded and won the Southern portion of Jhargram i.e. Gopiballavpur, Nayabasan & Nayagram. To date there are still some places and markets in the area called Ugal Sand's that etc. the family is known for their noble heartedness from the very inceptions. In this seventeenth century Jhargram Raj family took part in "CHUAR MUTINY" to protect their independent status from the British.Around 1767 East India Company led by Robert Clive came from Midnapore via Radhanagar to invade Jhargram. Raja revolted against British Raj but ultimately surrendered to the British Raj and the Revenue was fixed for only 500/- per year. 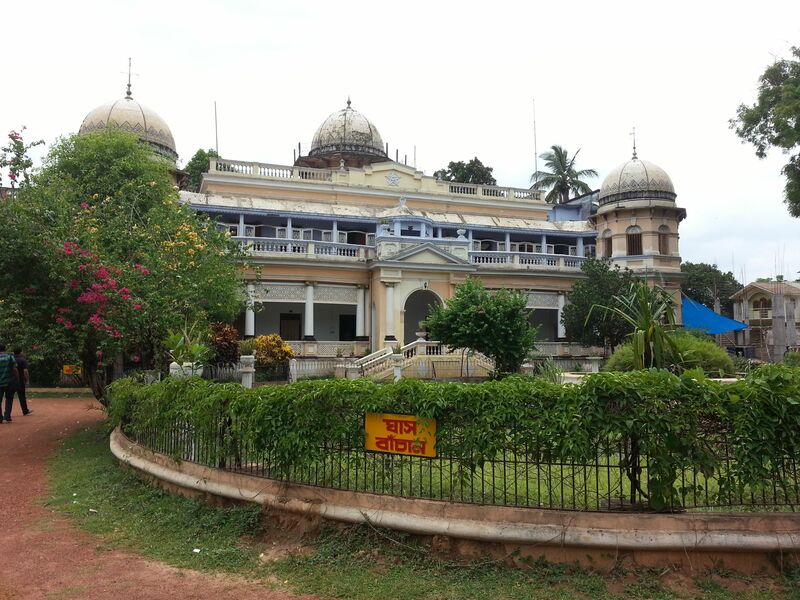 Jhargram was then recognized as a Zamindari estate under the British and the Ruler was given the title of Raja. Jhargram twice fell into court of wards after the death of Raja Raghunath Malla Ugal Sanda Deb and Raja Cahndi Charan Malla Ugal Sanda Deb respectively. But was later released when the Raja Narasingha Malla Ugal Sanda Deb attained majority. In this connection it may be mentioned that in the year 1944-45 the then Vice-Roy of India agreed to recognize Jhargram as feudatory state, Subedar to Mayurbhanj etc. but at that time whole India was going through Turmoil and moved for independent India lips mission & cabinet mission came here to negotiate with Congress & Muslim League and other Parties etc. The proposal for feudatory status of Jhargram Raj was moped then. It is not possible in this short space to describe the history of Raj family who reigned here for last four hundred years. It is to inform Jhargram people shortly and about three or four generations who are well known for their generosity for the people of Jhargram even beyond Jhargram. Raja Raghunath Malla Deb who was the sixteenth generation of the family and great grandfather of Raja Birendra Bijoy Malla Deb was an extraordinary wrestler of this area. His instrument of exercise has been kept in the Raj Palace and Calcutta Museum. And it seems that he was not an ordinary wrestles and super human should handle the instrument used. It is known from the people of that time that he was a great devotee of Lord Bhairab. At the fag end of eighteenth century i.e. 1884-85 he was the first student of F.A. from this backward area surrounded by deep forest. Of course he left for Midnapore before the final exam of F.A to marry Raj Kumari Raj Lakshmi Devi of Silda. He was famous for his charity, when cost of Rice is only one rupee per maund he donated thousands of Bighas of lands to his needy poor tenants, even he had taken a loan of Rupees Three lakhs to remove the poverty of his poor and needy tenants. In this renowned family Raja Narasingha Malla Ugal Sanda Deb born in the year 1909, Raja Raghunath Malla Ugal Sanda Deb, grandfather Raja Chandi Charan Malla Deb father respectively expired in the year 1912 & 1916,respectively Jhargram Raj estate was the then under court of wards as settled with the Government by Late Raja Raghunath Malla Ugal Sanda Deb. And as per the rule District Magistrate was to be the guardian of minor Raja Narasingha Malla Ugal Sanda Deb. The then Magistrate under the guidance of him minor Raja Narasingha Malla Ugal Sanda Deb has been admitted and continued upto Matriculation exam in the Midnapore Colligiate School. At this time Magistrate appointed Prof. Debendra Mohan Bhattacharjee of Midnapore College who held from Faridpore (Dacca Division) as guardian tutor of minor Jhargram Raja Narasingha Malla Deb to guide and supervise the smooth running of life and studies and character development. In the year 1929 Raja Narasingha Malla Ugal Sanda Deb become major (attained majority) Jhargram Raj estate had been released from court of wards of Bengal Govt. Raja Saheb had passed his I.A Examination from Midnapore College in First Division and got admission in Presidency College of Calcutta. 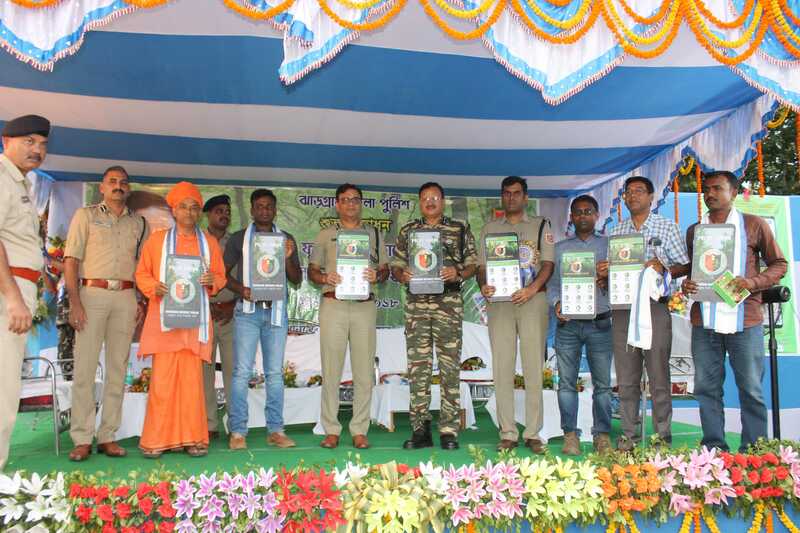 Raja Saheb then empowered his preceptor Debendra Mohan Bhattacharjee to guide and administer the Jhargram Raj estate in a right way. This is exaggeration to say that 1929-1950 as Prof.Debendra Mohan Battacharya as the administrator was the Golden Period of Jhargram estate .In these Twenty one years Jhargram developed into a Township and during this period many educational Institutions were established and developed. Kumud Kumari Institution (K.K.I) the Premier Institution of Sub-division had been developed. Jhargram Agricultural College was established which later on was converted to Jhargram Raj College, Vidyasagar Bani Bhaban, Vidyasagar Polytechnic, Sarada Vidyapith with the help of Swami Sarbanandaji other institution within the Jhargram estate area established for this development of backward Jhargram people. All the Primary Schools within Jhargram estate have been established and run by helping and bearing salary of Teachers and other expenses. The royal family has established & assisted in the running of all primary institutions in the Jhargram estate. After the establishment of Bani Bhaban under guidance of Lady Abala Bose for widows only there was no other institution the education of before 1940 on the advice of his manager Debendra Mohon Bhattacharjee Raja Saheb has donated and built a house to accommodate a Girls School upto Primary section and it developed upto Class VI and opened by the then magistrate Mr. Burge and the institution was named after his name Burge Memorial School. 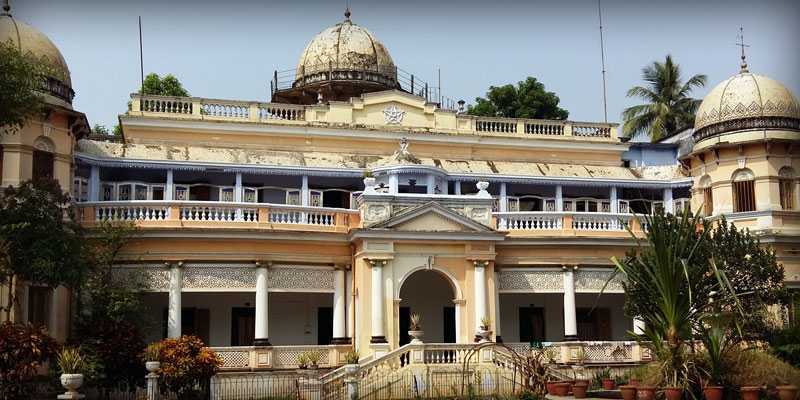 In the year 1947 further land was acquired and Jhargram Raj constructed Building and the estate to develop it donated a substantial amount to the secondary stage and with the help of the then Chief Minister, Prafulla Chandra Ghosh the institution become pure Govt. School and renamed after the first wife of Raja Saheb Rani Binode Manjuri Govt. Girl's School and it is now one of the best school of West Bengal. It would be in justifiable if we do not describe his humanly good qualities of Raja Narasingha Malla Ugal Sanda Deb, during his twenty-five years of reign. He has donated during this short space of time 19 lacs of rupee cash and 10 thousand bighas of land in this area for development of different institutions extending from Calcutta Bangiya Sahitya Parishad to Delhi Kali Bari. In the Midnapore District Town he has donated for construction of building & donated fund purchase Lobmary's Books and borne all the expenses to built Jhargram Stadium at Midnapore. But now the name 'Jhargram Stadium' has been changed to 'Aurobinda Stadium' after his death. At the consent of Raj the Court of Wards gave family land and grant for establishment of Hospital in the name of Chandi Charan Charitable Hospital. Later on in every Tahsil area a charitable hospital on a miniature scale was established for Primary treatment in the near by villages. He has got many other qualities, which are worth mentioning. He was very much lover and entrust sports and games like his uncle Ganga Charan Malla Deb.